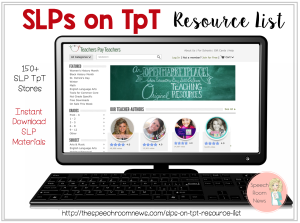 The information contained in this blog is meant to be used as a helpful resource for Speech/Language Pathologists looking for treatment activities to support their therapy. This is a personal weblog. The opinions (and they are only opinions) expressed here represent my own and not those of my employer (including but not limited to current, former or future employers). Nor of any universities or colleges I attend or have attended. The information written here is meant to support speech language pathologists. It is not meant to replace consultation or treatment provided by a certified Speech/Language Pathologist. If you are a parent, caregiver, or teacher who is concerned about the speech & language development of a particular child, you are encouraged to seek out a complete evaluation from an ASHA certified Speech/Language Pathologist. You can begin your search for a local service provider by visiting the ASHA web site at http://www.asha.org/. 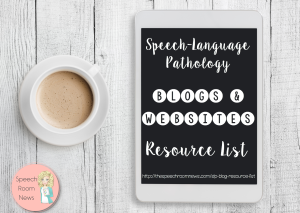 All therapy materials, websites, or applications mentioned in this blog are discussed as potential tools to aide in the development of speech and language skills. These tools are to be used as a part of, or in adjunct to, speech/language therapy services and not in place of those services. 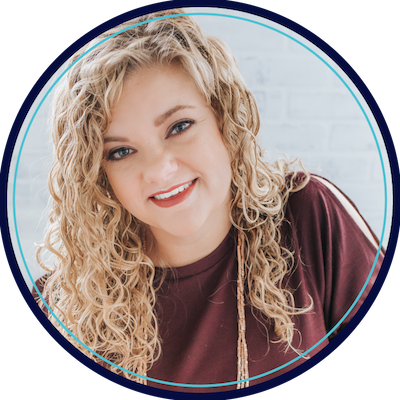 It is up to the individual professional to determine if any of the mentioned therapy tools are applicable to the therapy process for each individual child. In other words, all content of this blog should be read and used at the descretion of the reader. I blog because I love it! I make therapy materials because I love it! I share because I love it!!! Feel free to use any of my images or ideas as long as you give ME credit and link back to ME!!! Thanks! PLEASE do NOT sell MY ideas as your own. You may always link to my materials in your own blog or website with credit given. You may not use photos from my blog without expressed written permission. You may not host free or paid items on your own website. You may link to my blog or my TpT store but you may not allow direct downloads of the item from your site. You may not re-post any part of my blogs without expressed written permission. Please email me at speechroomnews@gmail.com for permission. This blog is a personal blog written and edited by me. This blog does not accept any form of sponsorship, or paid topic insertions. However, we will and do accept and keep free products, services, travel, event tickets, and other forms of compensation from companies and organizations. Speech Room News, LLC (“us”, “we”, or “our”) operates the TheSpeechRoomNews.com website (the “Service”). Speech Room News, LLC will also retain Usage Data for internal analysis purposes. Usage Data is generally retained for a shorter period of time, except when this data is used to strengthen the security or to improve the functionality of our Service, or we are legally obligated to retain this data for longer time periods. Under certain circumstances, Speech Room News, LLC may be required to disclose your Personal Data if required to do so by law or in response to valid requests by public authorities (e.g. a court or a government agency). If you are a resident of the European Economic Area (EEA), you have certain data protection rights. Speech Room News, LLC aims to take reasonable steps to allow you to correct, amend, delete, or limit the use of your Personal Data. The right to withdraw consent. You also have the right to withdraw your consent at any time where Speech Room News, LLC relied on your consent to process your personal information. HI THERE! I am starting a blog and I follow you!! I was wondering if you would mind if you would help me out. I am looking at the information you have for TOU, copywright, etc. I am also planning on making products in the future (when I can learn more and get orgnanized!! lol Would you mind if I used the information you have posted on my blog? It is just so well done!! If you have any other tips for me I would love your advice! !